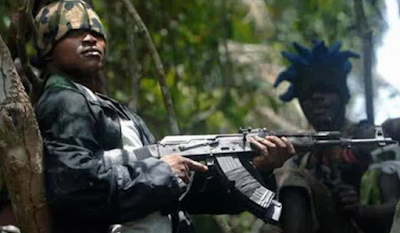 Three armed men on Wednesday snatched a seven weeks old baby at Okungbowa Street, Uselu quarters in Egor local government area, Edo. The men were said to have stormed the residence and asked everybody to lie down at gunpoint before snatching the baby. Mother of the baby, Ruth Okungbowa, said the incident happened at about 8pm. Ruth said she was surprised when the gunmen left and she was told it was her baby that they took. According to her, “I was just finishing eating and my sister was carrying the baby. Suddenly three men entered the house with gun. Two were with us inside, while the one was with my sister. Her father, Mr. Albert Okungbowa, said he asked his daughter to bring the sick baby because two previous babies his daughter had died. He said he was surprised that the father of the baby did not show much concern when they informed him about the incident. When contacted, father of the baby, Osayomore Igbineweka, said news about his stolen baby was still strange to him. He said he was yet to believe the story as his wife was supposed to have returned home. When contacted for comments, Edo Police Public Relations officer, DSP Chidi Nwabuzor, said he would have to get clearance from his boss to discuss the incident on the phone.